People say the most important invention for mankind was the wheel. I think that’s untrue – I think the invention which changed mankind most of all is the clock. The wheel is the servant of mankind, but clocks control us. 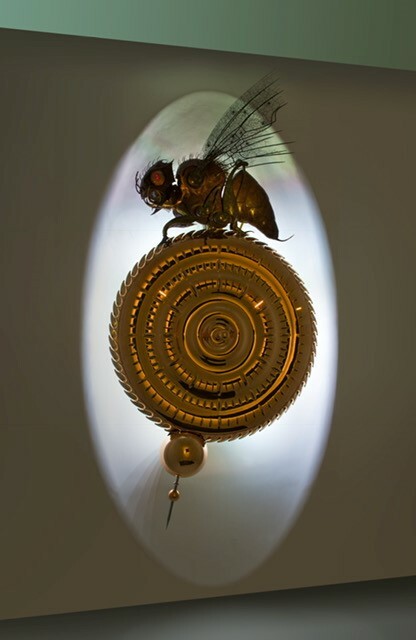 I was immensely proud to be invited to display the second Chronophage, the Midsummer, at the Inaugural Masterpiece Fair, Science Museum in London, Salon QP, Saatchi Gallery and the National Museum of Scotland. 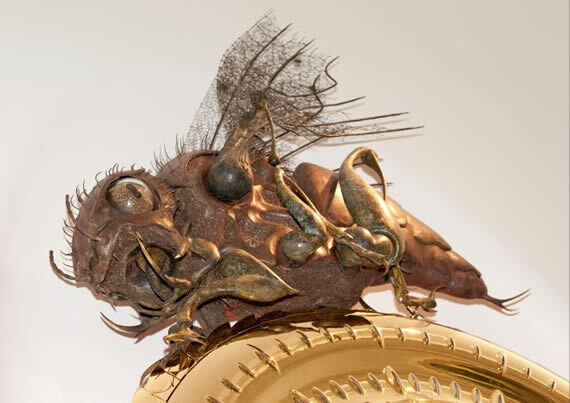 Unlike the Corpus, which resembles a grasshopper, the Midsummer has been based on a huge mythical fly-like creature with intricate wings and a sting in its tail. I am not a person who stands still and I am always looking for ways to improve and innovate. The Midsummer is no exception to this rule. So the Midsummer is currently having a makeover to take advantage of advances in technology and finishing techniques. The revitalised Midsummer will be unveiled later this year.